Feel spacey? Anxious? Having trouble learning? Off-balance? Pick up other people’s energies? An electrical outlet is grounded when it is connected to the ground in a way that allows excess energy to leave the system. We human beings are a bit more complicated. 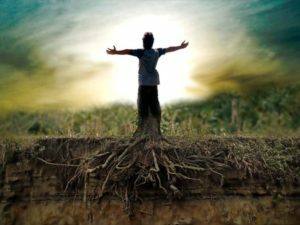 We need to be grounded for the natural exchange of energies between us and the Earth, but we also need to be rooted. Like trees, we need to send our energetic energies to the Earth, so they hold steady. SEATING IS LIMITED AND ONLY GARAUNTEED WITH PRE-REGISTRATION!